The Madikwe Game Reserve is a protected area in South Africa, part of the latest park developments in the country. Named after the Madikwe or Marico River, on whose basin it is located, it was opened in 1991 and comprises 750 km² of bushland north of the small town Groot-Marico up to the Botswana border. Madikwe Game Reserve lies 90 km north of Zeerust on what used to be farm land, but owing to the poor soil type, farming was not that successful. After extensive research, the South African Government found that this land would best be utilised as a national park, to economically uplift this otherwise rather poor area. It has recently opened itself up to private farms outside the main reserve. Private users need to abide by parks board rules, animals can roam over any land, but there are restrictions as to where private vehicles can drive. There are 30 lodges on the property, and six lodges in the private farms outside the main reserve. Madikwe has started Community Lodges, which the local villages own and run. All profits are then used to uplift the communities. It is currently the fifth largest game reserve in South Africa and yet not widely known. The park is now 680 km² by itself, and 750 km², including the now incorporated privately owned land. The terrain is mainly open grasslands and bushveld plains, interspersed with rocky outcrops and single mountains. Madikwe has been regarded as one of the better conservation areas in Africa, offering all the major species, including lion, leopard, elephant, buffalo, both white and black rhino along with almost all the plains antelope species. 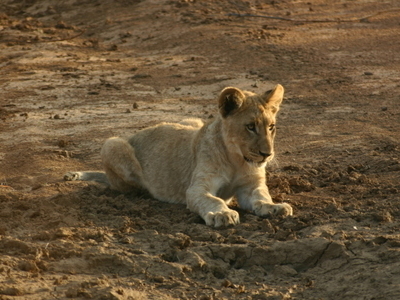 A special feature of Madikwe lies in its unique location, a transition zone on the edges of the Kalahari, where a number of rare species occur naturally, and the bushveld. The climate is generally mild to hot, but winter nights can be cold. Over 350 species of birds have been recorded at Madikwe. 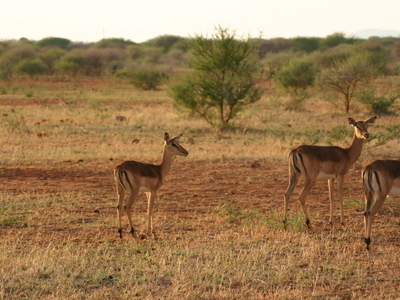 It is the only place in Africa where Springbok and Kalahari Gemsbok meet naturally. Here's the our members favorite photos of "Wildlife Reserves in South Africa". Upload your photo of Madikwe Game Reserve! Get in touch with 8 Touristlink members who want to visit Madikwe Game Reserve or with Ray Erens, Piet Westhuizen and 7 others who already have been here.